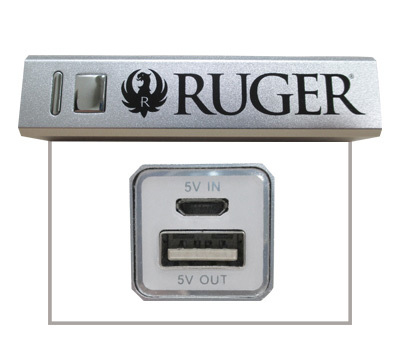 This Ruger branded power bank has brushed aluminum an acrylic finish. Item is rugged; can be used with Apple products and androids with a USB port. Made by Smart Source. We cannot ship this item to Alaska, Hawaii, all PO Boxes, all APO's and FPO's, Puerto Rico, Guam, and all US Territories. All orders will ship UPS Ground only.